I don't have much to write here really. I took a few snapshots of the boys a few nights back and several were really cute. 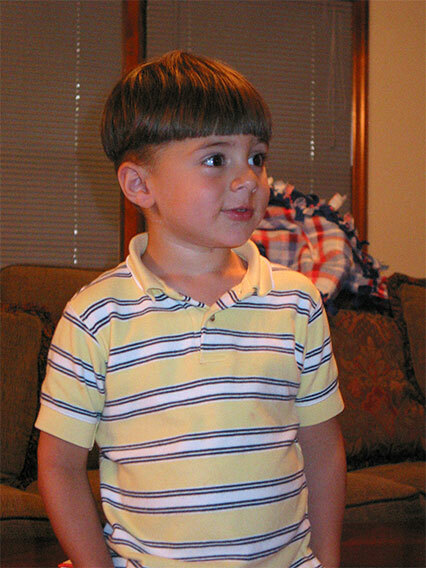 Conner had on this little collared yellow shirt that just made him look like such a big kid. 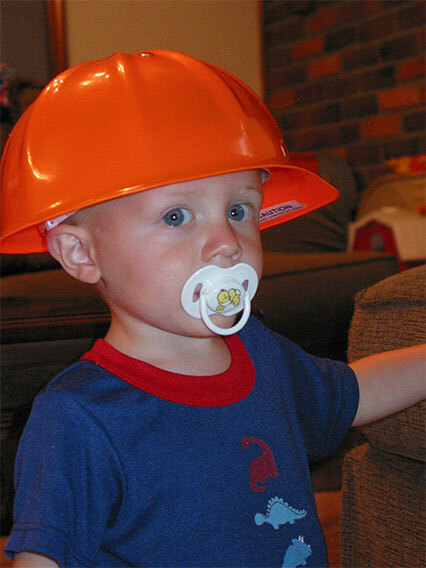 Zach was wearing a hard hat and watching something on TV and was very engrossed in whatever it was. As I was taking pictures of Zach, he started rolling around on bunny and it made for some more really cute pics. Conner came waltzing in from the kitchen where he had been working on his art project (making a stop sign). He had his hands in his pockets and just came over and stood there and watched us in that laid back way he has sometimes. It was very funny. I just had to take some pictures of him in his big boy yellow shirt as well. See the rest of the pictures on the forum here.